For alpine climbers, the place to be is Patagonia. 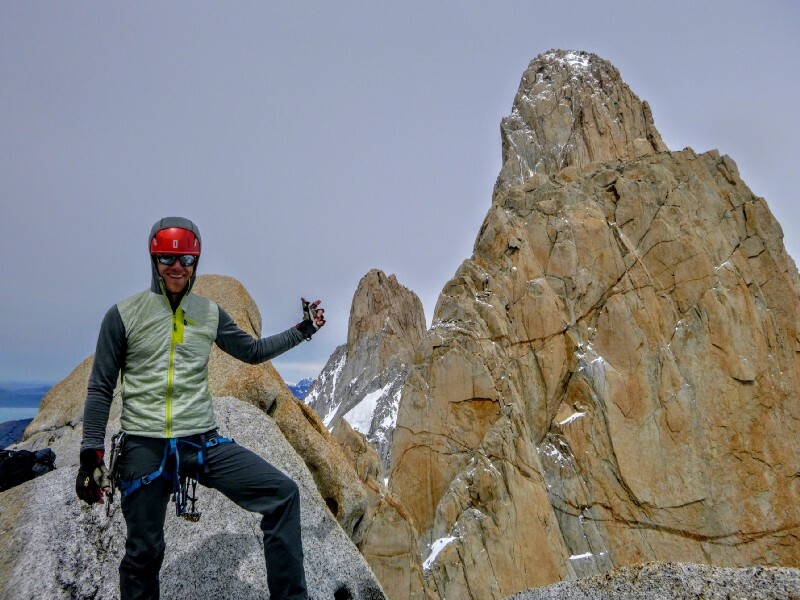 Friend of Polartec Ross Miller (@rossdoeslife) found a way to spend a few months there climbing legendary routes, and inevitably, waiting on weather. How do you make a trip like this a reality? Read on for Ross’ dispatches from his bucket list adventure. For a trip like this, preparation is everything. Here’s how Ross got started. Planning a long climbing trip almost alway starts with some commitment factor. In July we bought plane tickets for December. All of sudden, you are in this relationship with an awesome future event that you have little idea of how to prepare for. Patagonia, for good historical reasons, has so much hype around it. The region has terrible weather and little to no forecasting. The storms come in quickly and are dangerous. Think winds that will force your ropes vertical. There is not a lot of information on the internet of how exactly to prepare for this type of trip. I think that may be because in the alpine rock and ice climbing world, you should know what you will need from your past experiences. You should know how you like to move in the mountains. A lightweight shell. I went with the Westcomb Shift LT Hoody. It is made with Polartec Neoshell and thus is breathable to the point that it moves water vapor away from the body, which other shells don’t. 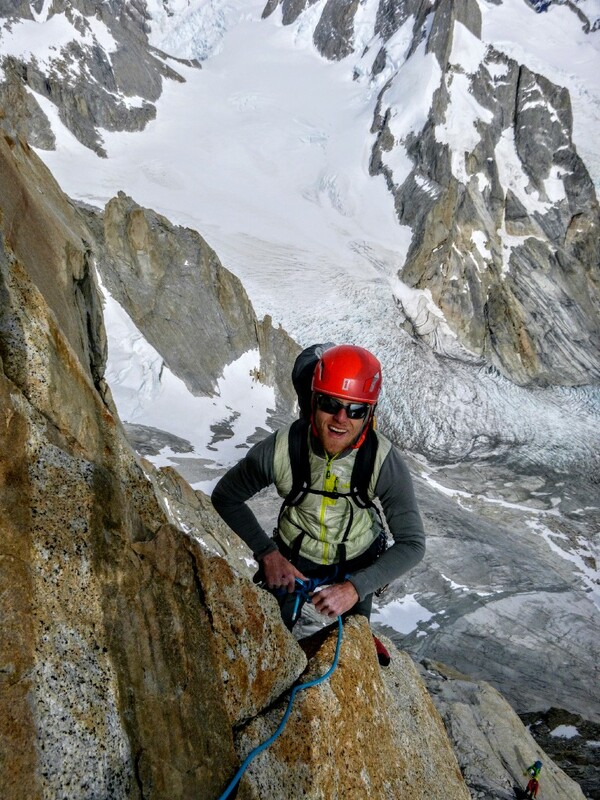 Alpine climbing is an endurance sport, the trail running of climbing. You need protection but you want it to breath. Mid Layer. The Outdoor Research Deviator Hoody is amazing. It uses Polartec Alpha insulation and is warm in the chest and stretchy all around, hooded and with thumb loops it is the always-on alpine piece. In fact it is my always-on trail running, biking, ski touring, mountain piece. Base Layers. Wool is the jam, we all know that. We also know that wool rips, tears and gets holes in it. It often doesn’t last. The Mammut Klamath Half Zip Top and Bottoms have been on me for the first three days of this trip and honestly they don’t smell that bad and they look good enough to wear into town. They are made from Polartec Power Wool, a knit that is wool backed with polyester on the outside. This gives the wool’s feel, texture, and antimicrobial benefits on the skin while protecting against sharp granite crystals. A couple other things we did for this trip was drop our rope down to super skinny, thin out our packs, and dial in our travel gear. We took advice like bringing all our own mountain food and peanut butter, but a lot we learned from getting down here, asking around, and figuring it out.